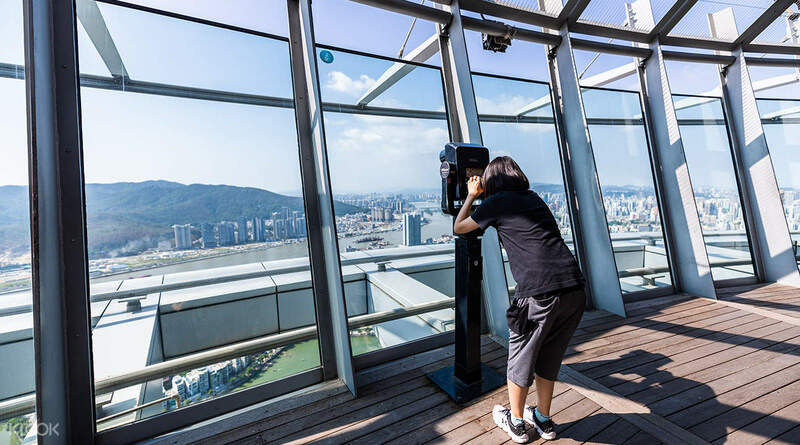 Walk the 360-degree observation deck for unobstructed views across Macau – and see even as far as Hong Kong! 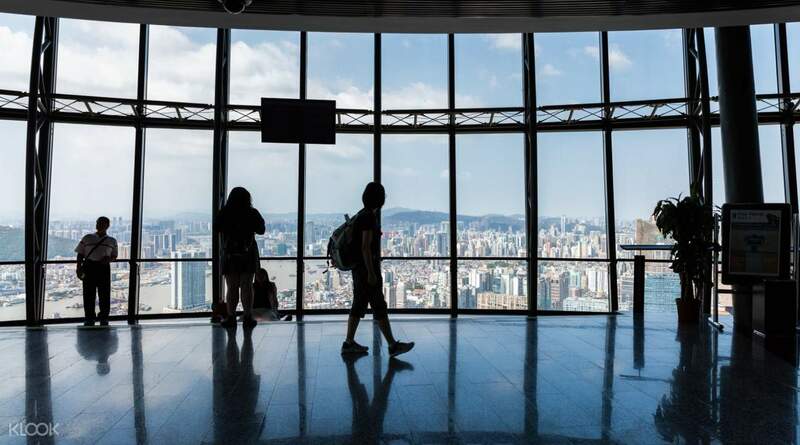 Feel your stomach lurch as you step onto the 233m height glass floor windows – but only if you dare! 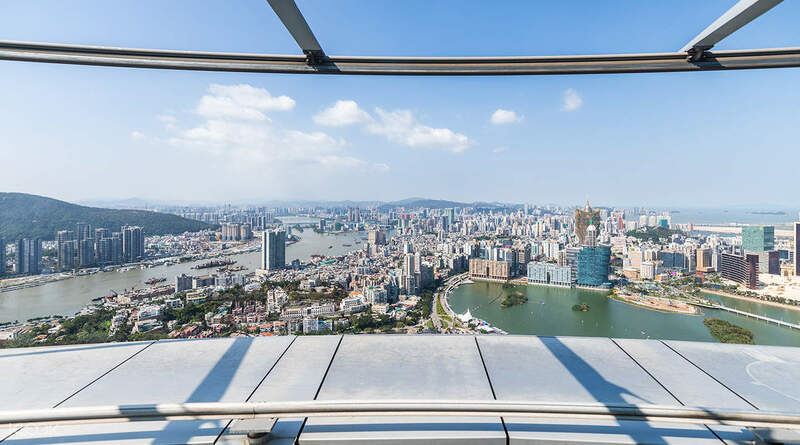 For sprawling views of the Pearl River Delta by day or the city lights by night, few spots come close to the Macau Tower. Ascend to the Tower's upper limits in high-speed glass-fronted lifts for the unforgettable vista that awaits and watch as daredevils hurl themselves from the top of what is the highest bungy jump in the world! 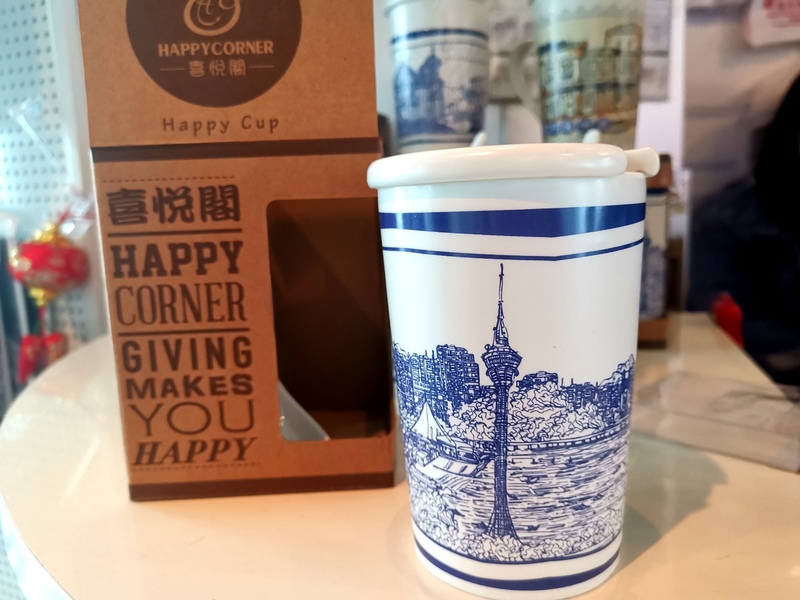 At T58, you can check out some great souvenir items at "Happy Corner@Macau Tower" a Social Enterprise of Fuhong Society of Macau. Find Macau-featured handicrafts made by people with disabilities. 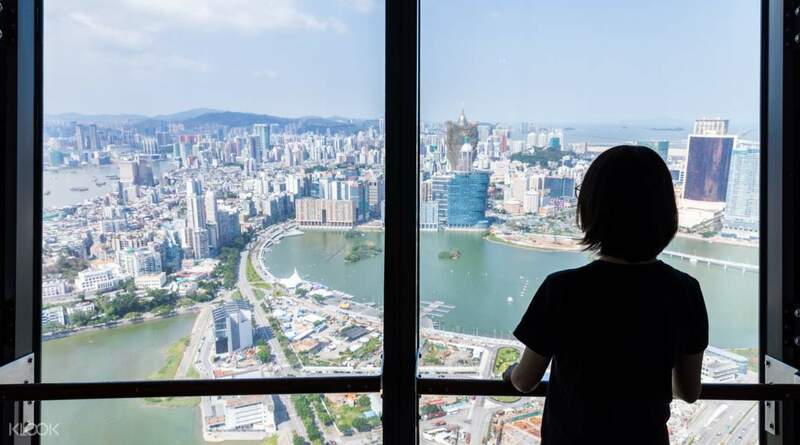 Treat yourself to unparalleled views of Pearl River Delta, and see as far as Hong Kong! Can you spot the famous Grand Lisboa Macau? Take your time observing modern marvels from high above! 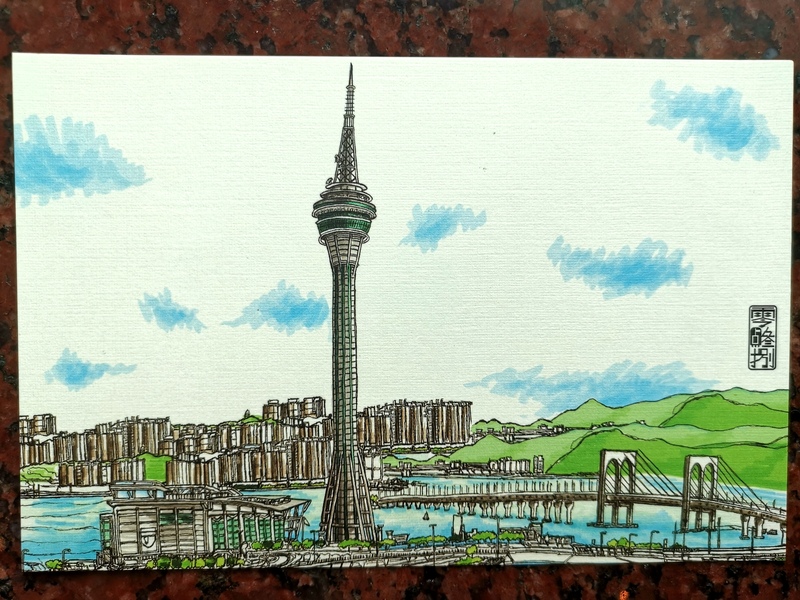 Located on Levels 58 & 61, Macau Tower. The whole family super enjoyed this attraction. There's no queue in the opening so we entered and redeemed our tickets fast. A bit sad because the rain seemed uncooperative to us (tourists) .. 😂 So we don't get clear and perfect instagramable photos of macau when we're on the 61st floor. And no one dared to bungee jump nor sky walk.. But still we manage to enjoy our time there especially the photo ops on the glass floor. Thank you klook! The whole family super enjoyed this attraction. There's no queue in the opening so we entered and redeemed our tickets fast. A bit sad because the rain seemed uncooperative to us (tourists) .. 😂 So we don't get clear and perfect instagramable photos of macau when we're on the 61st floor. And no one dared to bungee jump nor sky walk.. But still we manage to enjoy our time there especially the photo ops on the glass floor. Thank you klook! This is a nice activity to see the whole of Macau. You can also see part of the mainland China through here. Exchanging ticket with Klook e-tix is very easy. And the price is really cheap compared with buying onsite. Bonus: There is a live stream of those who are participating the bungy jump. Just scream with the crowd. This is a nice activity to see the whole of Macau. You can also see part of the mainland China through here. Exchanging ticket with Klook e-tix is very easy. And the price is really cheap compared with buying onsite. Bonus: There is a live stream of those who are participating the bungy jump. Just scream with the crowd. Very easy to travel in macau by public bus. Arrived at the in-front of the macau tower entrance. Easy to find the macau tower ticketing counter. The view is very nice and have the chance to see people sky jumping at the tower. Very easy by using klook voucher. 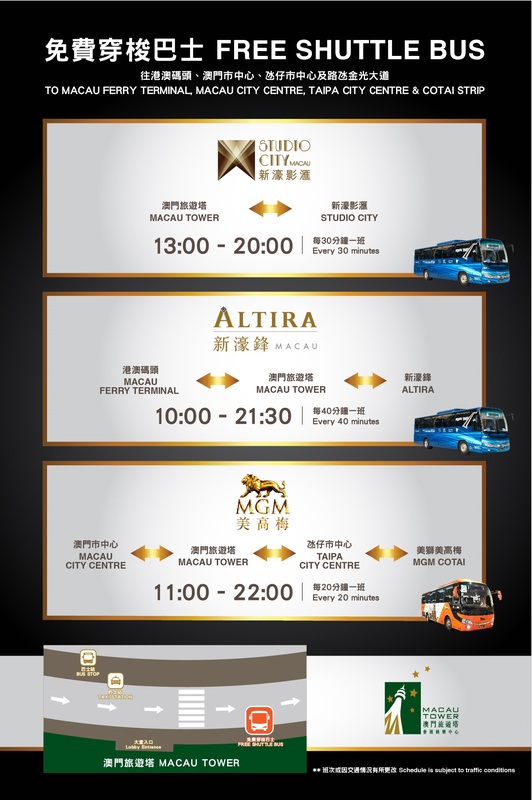 Very easy to travel in macau by public bus. Arrived at the in-front of the macau tower entrance. Easy to find the macau tower ticketing counter. The view is very nice and have the chance to see people sky jumping at the tower. Very easy by using klook voucher. Very easy to redeem. Just present it at the counter. Was also supposed to buy the skywalk from klook but I've read some of the reviews that there was an early bird rate if you will directly purchase at macau tower. Early bird rate is 630 HKD from 10 am to 12 nn. Still cheaper if you buy from klook. Very easy to redeem. Just present it at the counter. Was also supposed to buy the skywalk from klook but I've read some of the reviews that there was an early bird rate if you will directly purchase at macau tower. Early bird rate is 630 HKD from 10 am to 12 nn. Still cheaper if you buy from klook. very easy to come here and depart from here..shuttle bus was in front. however, it was raining when we came, only three/four people did bungee jumping..the view was covered with fog. but overall, it was a unique experience. very easy to come here and depart from here..shuttle bus was in front. however, it was raining when we came, only three/four people did bungee jumping..the view was covered with fog. but overall, it was a unique experience. We didn't have to fall in line like the rest. The staff told us to just stand in front of everybody else towards the entrance to the top. The view was amazing. You can see almost all of Macau and parts of Mainland China. It was fun to watch the Bungee Jumpers. Everything is good. We didn't have to fall in line like the rest. The staff told us to just stand in front of everybody else towards the entrance to the top. The view was amazing. You can see almost all of Macau and parts of Mainland China. It was fun to watch the Bungee Jumpers. Everything is good. There were lots of activities to do in the tower especially for adventurous people. The prices were quite high though but nonetheless the experience was worth it. I recommend they avail the buffet to get free access to the tower. That way they could save money rather than paying for both. There were lots of activities to do in the tower especially for adventurous people. The prices were quite high though but nonetheless the experience was worth it. I recommend they avail the buffet to get free access to the tower. That way they could save money rather than paying for both. Worth the price! We got the 3 persons deal for 2124 only (cny promo) and got complimentary egg tarts after the experience. Good thing the rain stopped and we were able to see the beauty of macau by night! We were able to witness as well those who did bungy jumping! It was amazingggg!!! Worth the price! We got the 3 persons deal for 2124 only (cny promo) and got complimentary egg tarts after the experience. Good thing the rain stopped and we were able to see the beauty of macau by night! We were able to witness as well those who did bungy jumping! It was amazingggg!!! A convenient way to get to the tower. At the entrance you show the code on the phone and give you paper tickets. There is access to the open and closed viewing platform. From above beautiful views of Macau and China. You can see how people jump from 233 meters. A convenient way to get to the tower. At the entrance you show the code on the phone and give you paper tickets. There is access to the open and closed viewing platform. From above beautiful views of Macau and China. You can see how people jump from 233 meters. The view is so nice but not for faint hearted. It’s viewing deck sits on 58th and 61st floor. Imagine how tall that is while standing on and a glass floor. It is quite an experience and a must try indeed. Thanks KLOOK for an easy and smooth access. The view is so nice but not for faint hearted. It’s viewing deck sits on 58th and 61st floor. Imagine how tall that is while standing on and a glass floor. It is quite an experience and a must try indeed. Thanks KLOOK for an easy and smooth access.